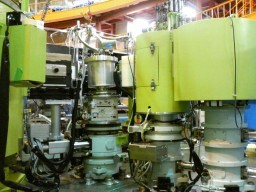 This is the GREAT POWER Triple-Axis Spectrometer, installed at JRR-3. 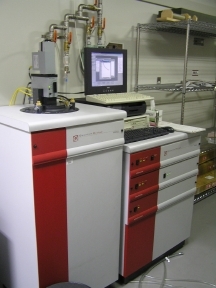 This spectrometer has both doubly focusing monochrometer and analyzer, which makes this spectrometer really useful for inelastic scattering experiments. 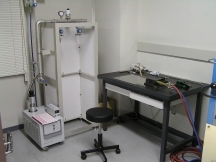 Several sample envronments, including 3He-4He dilution refrigerator, 1K cryo, Orange cryostat, high-temperature furnaces, and vertical and horizontal field magnets, are available. The default sample environment is the 4K GM refrigerator, which indeed can go down to 2.6K! Please visit 4G GPTAS web page for details. 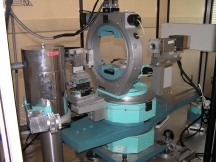 This SQUID magnetometer is the main equipment of the group. This has a number of options; ac susceptibility option, ultra-low field option, oven option, and external device control options. It is possible to measure dc magnetization down to 10^-7 emu (even 10^-8 occasionally), ac susceptibility for 0.01Hz to 1000Hz driving ac field and electrical resistivity, under the dc magnetic field of 0 to 5T with the temperature range of 1.8K to 800K. In addition, ultra-low-field option provides residual magnetic field of less than 50mOe. 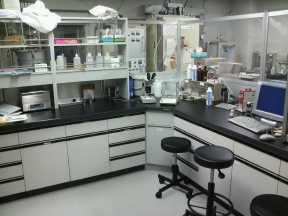 This is the place where everyone in the group prepares samples every day. Keep clean! 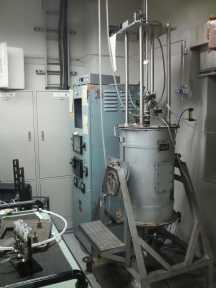 The 3kW RF induction furnace for melting metallic elements and alloys. The maximum temperature depends on crucible; generally 1500C is easy if you use appropriate crucible. 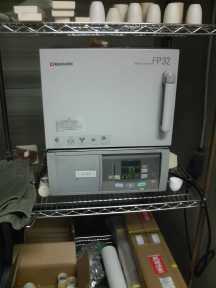 We have two small muffle furnaces. The maximum temperature for continuous use is 1100C. 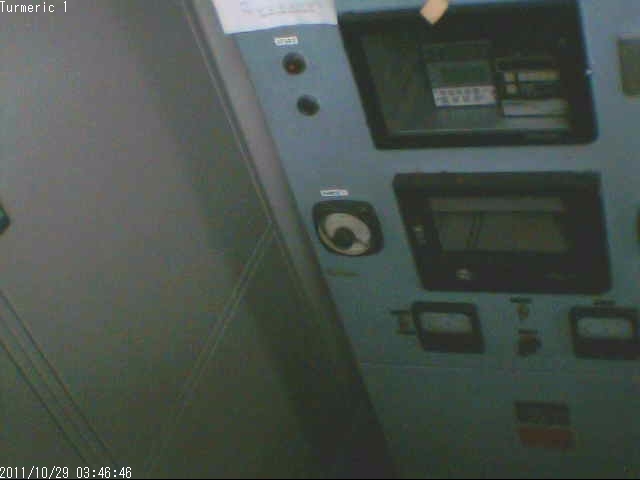 This large muffle furnace can go up to 1200C. 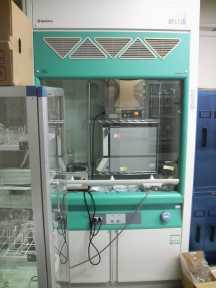 We have a fume hood for use of chemicals. 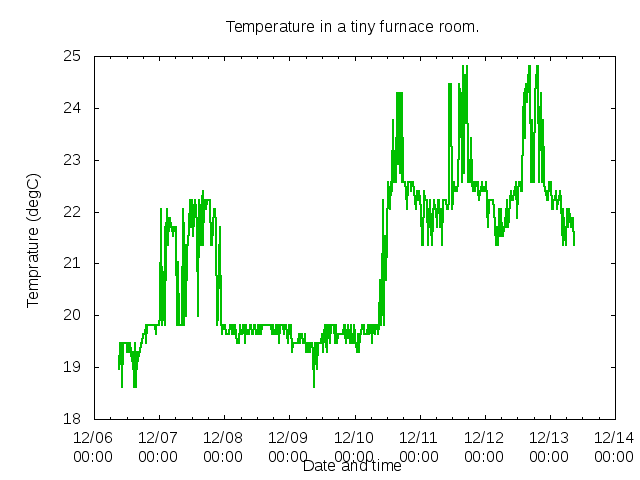 At the present moment (2009/06) we have two muffle furnaces in the hood. One is the Denken furnace (shown above), and the other is no-bland furnace, which can go up to 1280C. Arc furnace is for the preparation of the metallic alloys. With the Ar arc with 500A power supply, you can melt almost all of the elements on the earth. The arc furnace is used also to seal metallic crucibles such as Mo or W crucibles. The other photo shows the setting for the sealing. 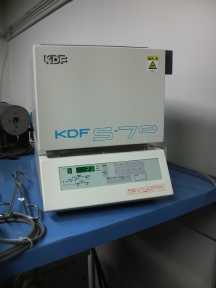 For the single crystal growth, we equipped the floating-zone (FZ) furnace. 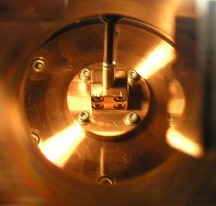 The advantage of the FZ method is that it does not use any crucible. So, you don't have to worry about the contamination from the crucible, or much simply you don't have to worry about the melting of the crucible. 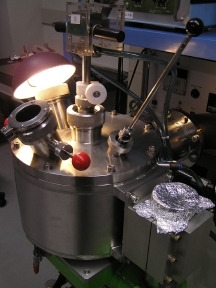 Compared to other crystal growth methods, Bridgman method is very useful, because once you set the sample, you don't fine tune the condition; you can go home, or go neutron experiment, or whatever you want to do. Just prey, you will get good crystal. This furnace can go up to 1500C (of course if you choose appropriate crucible), and can be used with inert Ar gas atmosphere. 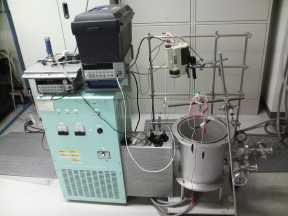 The speed range of the sample transport is 0.1mm/h to 10mm/h. 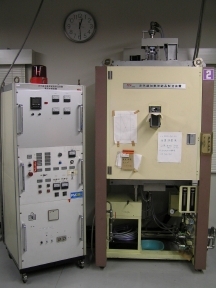 This very rich X-ray diffractormeter is from the Fujii-Lab. You can even solve the crystal structure at very high precision, if you want. This system is for quartz/glass tube sealing. 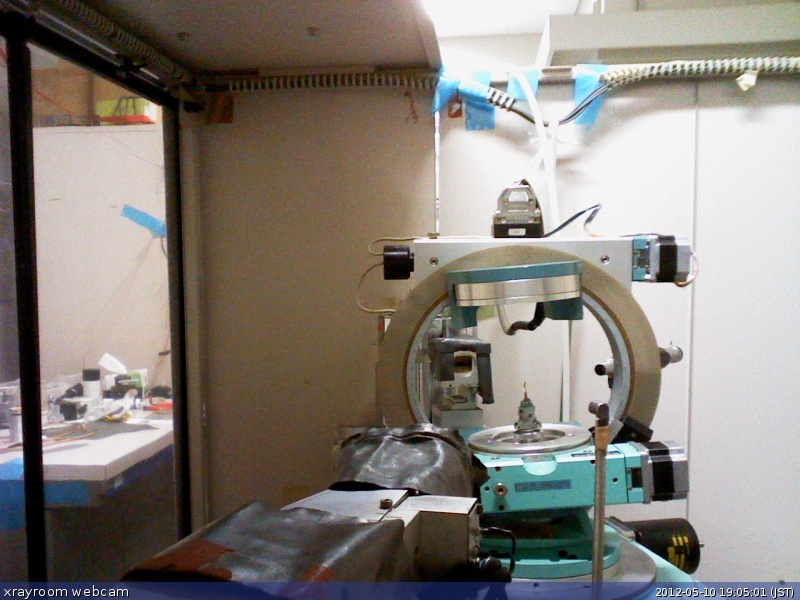 Since neutron scattering data can be (or should be!) quantitatively compared to the dynamical response (ImChi(Q,hw)) of the system calculated from the model Hamiltonian, we frequently calculate ImChi of the system ourselves. 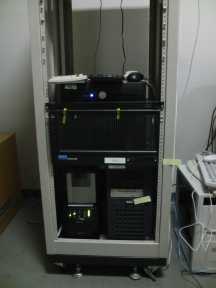 For this purpose, we have several x86 servers. Presently, we have 12 cores in total (including Intel and AMD) with 16GB memory. 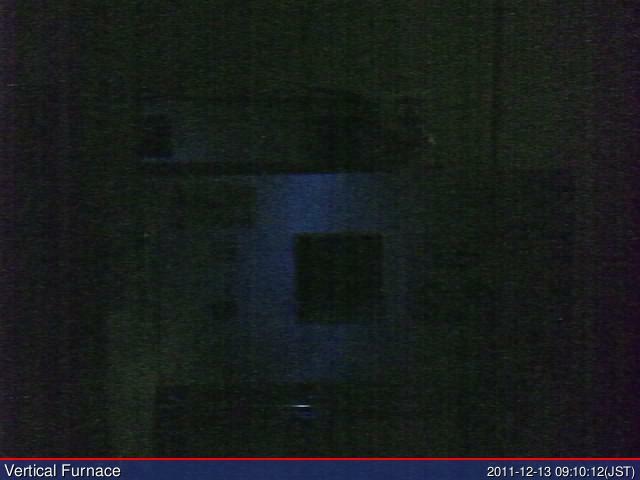 Also there is group file- and web-servers. 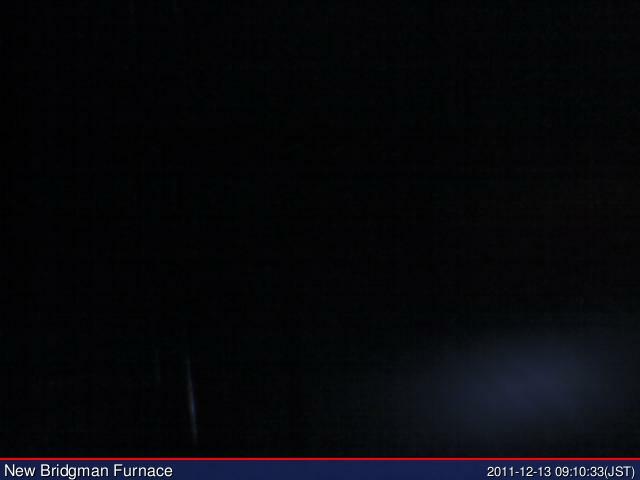 These webcam pictures updates every minutes. Please reload if necessary. 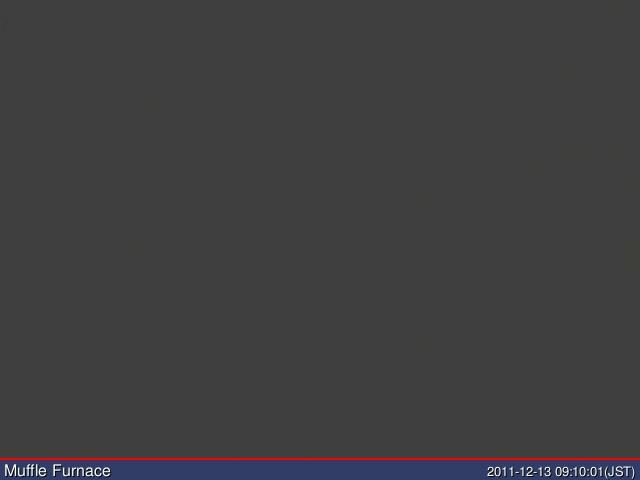 Copyright © 2004 Taku J Sato. All rights reserved.